MY GROWING PASSION: Spring Photos from the Garden. Spring Photos from the Garden. Today, after a few days of solid and very appreciated rain, I ventured into the garden, where I took some photos of spring fare. 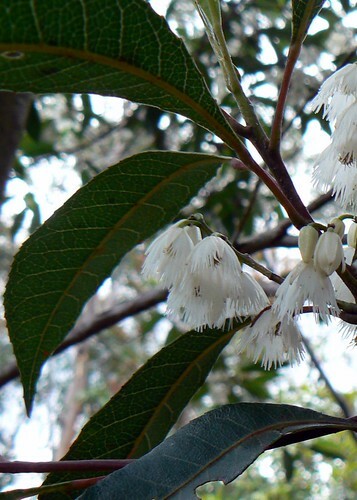 This is Elaeocarpus reticulatus, also known as Blueberry Ash, Ash Quandong, Blue Olive berry, Fairy Petticoats, Fringe Tree, Koda, Lily of the valley Tree and Scrub Ash. Obviously when it's been observed by white folk, they've been rather taken with it and have coined lots of names. I didn't even realise this was in the garden till I saw the flowers! 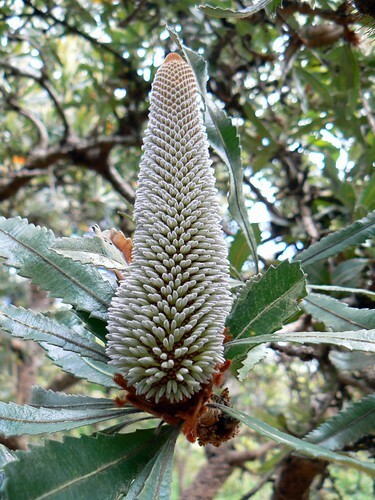 We've a lot of mature Banksia serrata growing. It's astounding how such ancient looking trees, with their knobbly, solid bark, can produce soft new leaves and these extraordinary flower cones each year. This inflorescence is very immature. I'll take another photo when it's older. 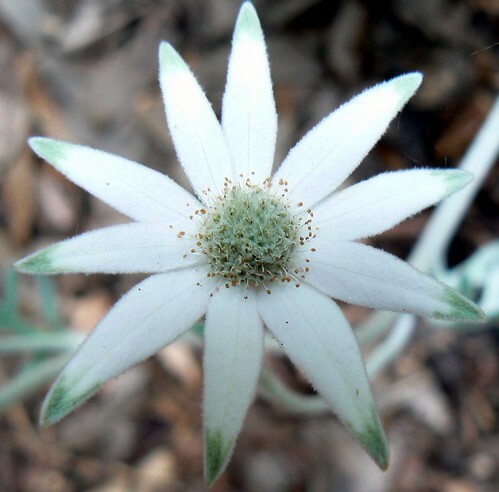 Actinotus helianthi, or Flannel Flower, is local to the area, but this is one I've planted. 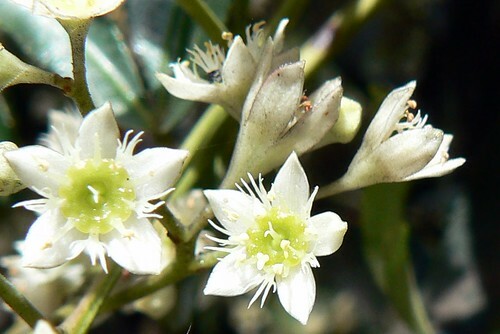 Ceratopetalum gummiferum is the New South Wales Christmas Bush. The flowers are white, but they're followed, at around Christmas time, by persistent red sepals, which bathe the tree in colour. I'll follow this photo up too! Lovely shots Margaret! I particularly like the picture of the flannel flower. In the Berowra area I find this species is quite variable and gets some weird petal morphologies sometimes.